kandeej.com: Would you wear a GIANT mustache or Hello Kitty Eyeliner? Would you wear a GIANT mustache or Hello Kitty Eyeliner? 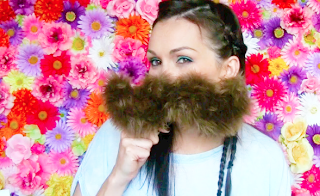 Would you wear this mustachulous upper lip faux fur (AKA mustache)? but I AM gonna show you the goods that I just got! 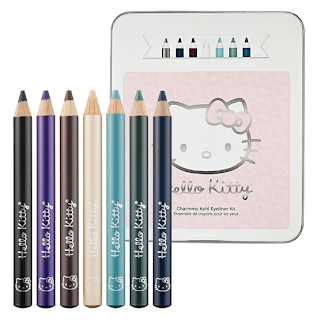 the scrumdiddly-uptous HELLO KITTY CHARMMY KOHL EYELINER KIT at SEPHORA!!!! I want to eat that turquoise color! 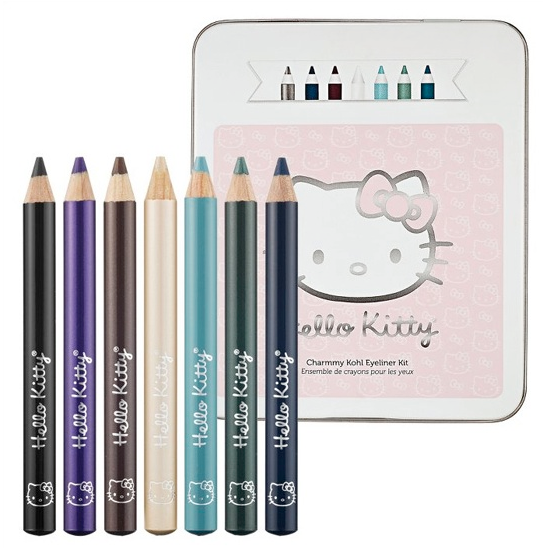 7 awesomely creamy, dreamy kohl eyeliners in black, purple, coffee brown, creamy white, pale light blue, teal green, and navy blue for $28 bucks and it comes in a cute metal Hello Kitty Tin! 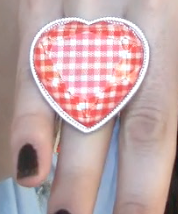 My NEW FAV GLITTER RING! so let's go hang out and have some fun...get cozy in your chair, stool, bean bag or tuffet and come join me in my "flower wall garden" and have some fun! Kandee I love your both your blogs and hope you see this comment. PLEASE do a post for some of us younger girls on places to shop in the LA area. Back to school is soon & I'm just looking for a FRESH look away from all the mall stores. Any recommendations? I absolutely love your blogs! You are hilarious and beautiful...I'm sure you hear that all the time. You are inspiring and I look forward to all of your new videos! Dear Kandee. I absolutely love your blog, your look & you're so pretty & funny.I am a french woman, 40 years old & sometimes, it's difficult for me to understand what you say when you speack fast !! Thank you so much for yours advices about make-up. I watch your videos every day since 1year. Hi Kandee:) I love this video. It can be also called "Look what I've got".